Social network has changed the lifestyle of the human beings, today one can watch every event anywhere in the world. On fingertips you can communicate to the rest of the world. People's interactions are increasing day-by-day, therefore they need a platform like Pinterest to pin their interests. Bloggers use Pinterest to bring more users to their sites, but the question is that, how to get more traffic from Pinterest?. Today I am going to reveal all those techniques through which you can bring more traffic from Pinterest. Pinterest is a thief of time. Once you log-in you will see your time will go faster in it, because of so many activities around you. Therefore you have to be a part of Pinterest in order to gain some traffic, just stay there and engage yourself with it. You will see how quickly your traffic will increase. Pinterest is all about visual appearance. Therefore you have to add high quality images to visible your content in a better way. On Pinterest majority of people are viewing images and related stuff. If you are using bad quality images it will harm your product and brand which you are using. As many other social networks has their own social icons, like Facebook Like Box, Twitter Bird, etc. Same type of Pin-it icon is using by Pinterest, so people can easily add Posts, Images and daily happenings etc. You can add Pin-it button from here. As we know that, first impression is the last impression, therefore you have to write a compelling and persuasive post description. 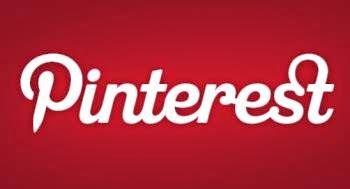 Once you login in Pinterest, you should figure out or anticipate the Pinners interest and pin your posts related to it. If you write persuasive and compelling meta description, many Pinners can visit your site. Thus your blog traffic will increase. Will interring on Pinterest, you have seen that, it suggest you to like pages, like Designing, Fashion, Tattoos etc. If you are a blogger then you should create a board for each menu, such as Themes, Templates, Make Money, SEO etc. So people can easily find a post in a related series. Well, it happened with me, when I was using Pinterest at the beginning, I post only those articles, which associates with my product. But later on I realize that, some people want to see other stuffs, like interesting pictures and videos etc. Then I have include other stuff as well to engage my visitors. Therefore you have to include other stuff as well to increase some traffic to your site. Following others will also get more traffic to your site, because you are make your page visible on their sites. Try to follow as much as you can, there is no restrictions of following but it should not be aggressive following. Well, if you are unable to get followers, better to do reciprocity with other pages. It means "you scratch my back I scratch yours". You have to leave a message to other pages like, If you follow me I will follow your page. This is a win-win situation, where both the parties are getting better off. So you can also apply this technique as well in order to get more traffic. Well, Pinterest is not a place of Videos but if you have a cool and interesting video, don't be shy to publish it, because you cannot imagine the power of videos and charts. Once it will become popular, you will see an increase in your traffic. This is again a good techinque to gain some traffic. People are repeating interesting and famous stuff on Pinterest. Therefore don't be shy to Repin your famous and most viewed stuff again. Hope these techniques will increase your blog traffic. If you got some other techniques in order to get more traffic to your site, please share via comments.